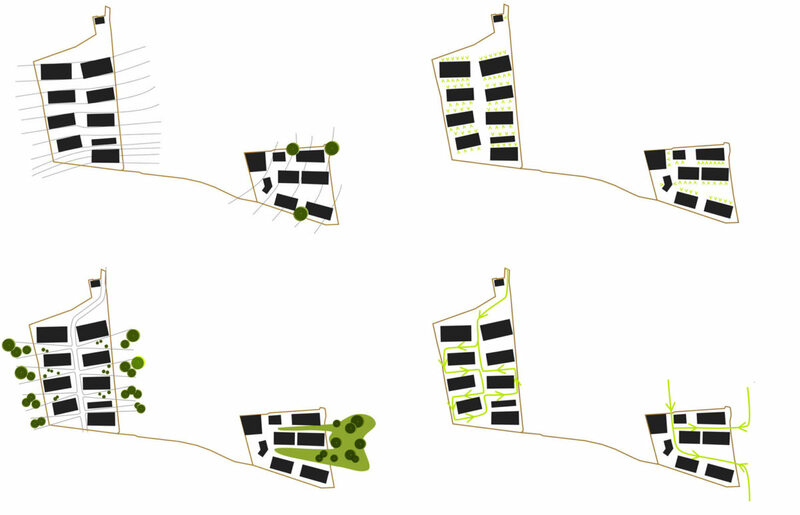 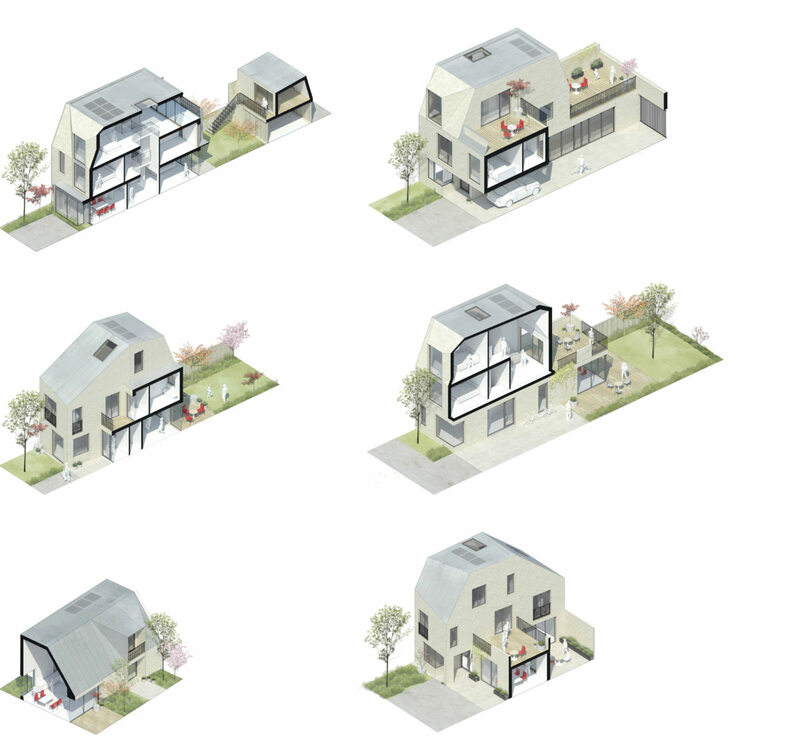 The concept of a ‘branching structure’ forms Alison Brooks Architects’ organisational paradigm for a new neighbourhood, in our competition entry for a housing project in Buckinghamshire. 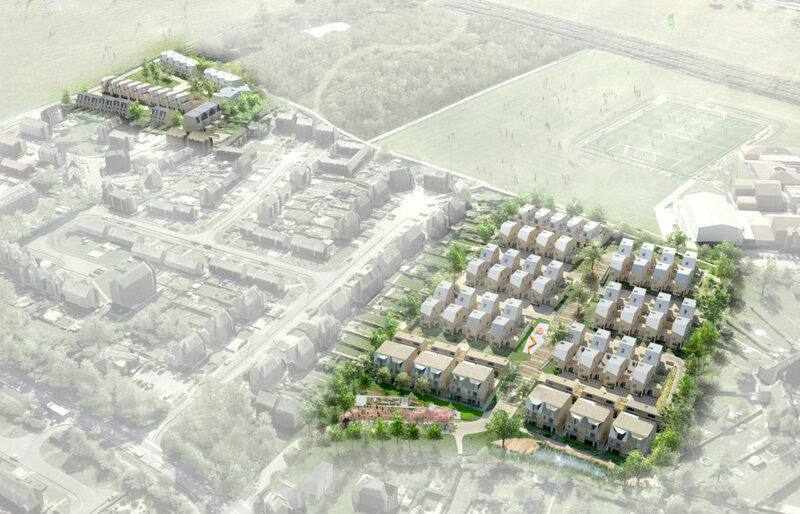 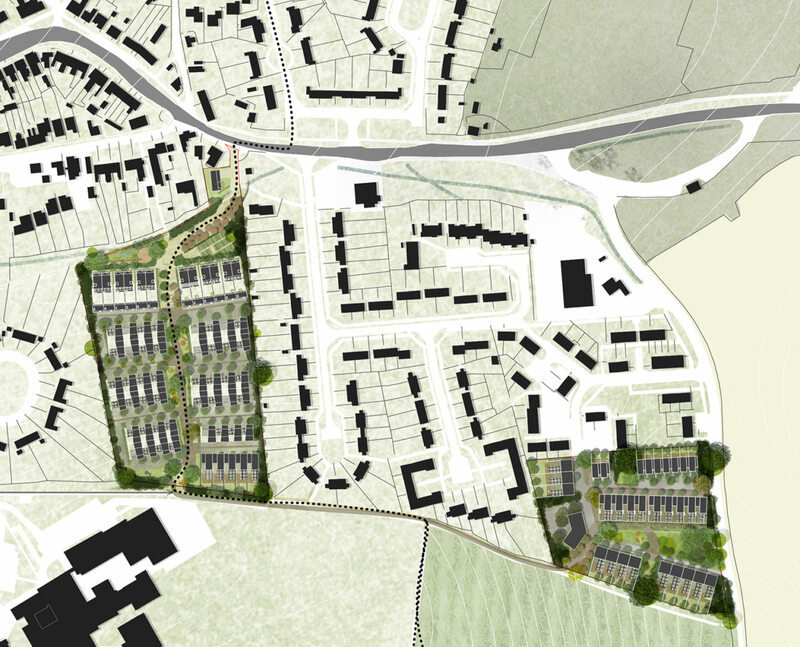 The central concept of our Golden Mede masterplan is the ‘Green Spine’ : a shared vehicular and pedestrian route running north to south, connecting the site entrance to the southern boundary of the site with potential links beyond . 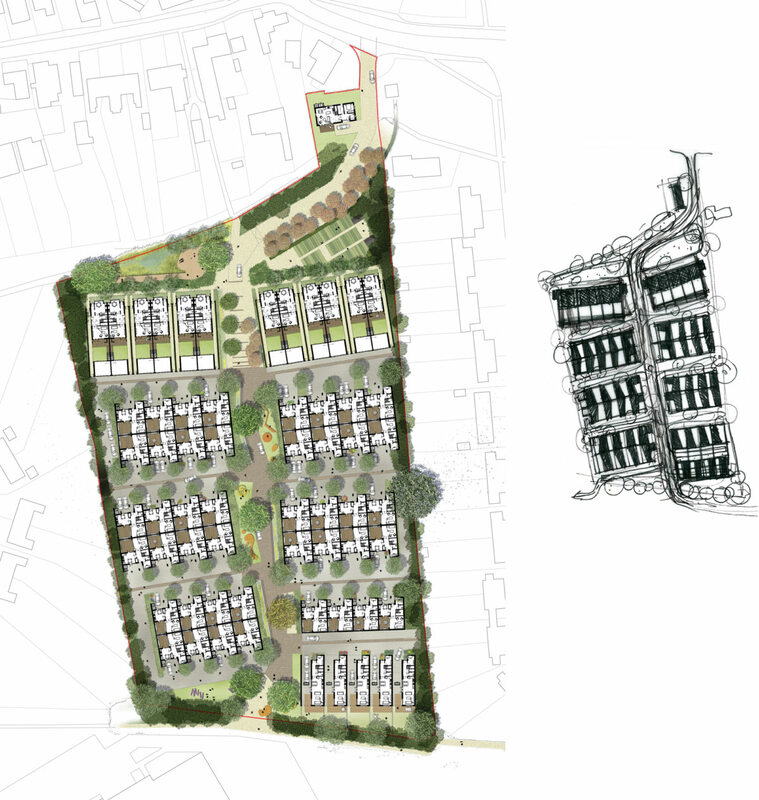 The Spine celebrates the ancient field route through the site and forms a new part of the Aylesbury Ring public footpath. 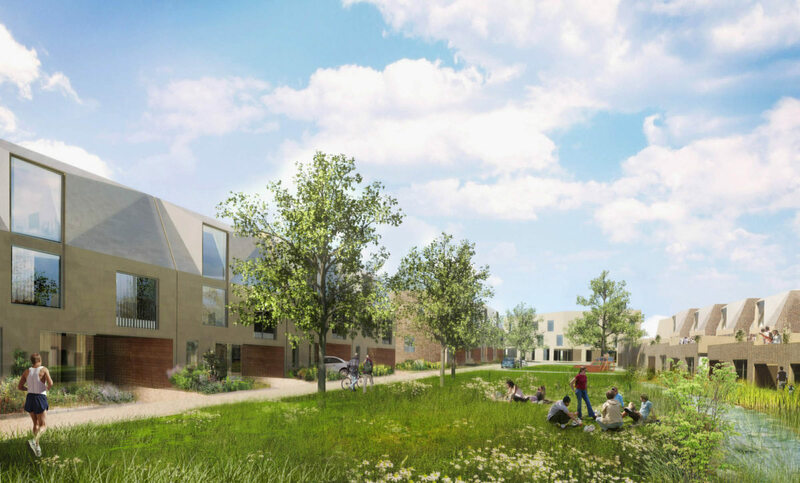 From a new sweeping entrance drive into the site from the A41, the Green Spine is a tree lined, landscaped shared surface that creates a sequence of spaces for walking, play and rest. 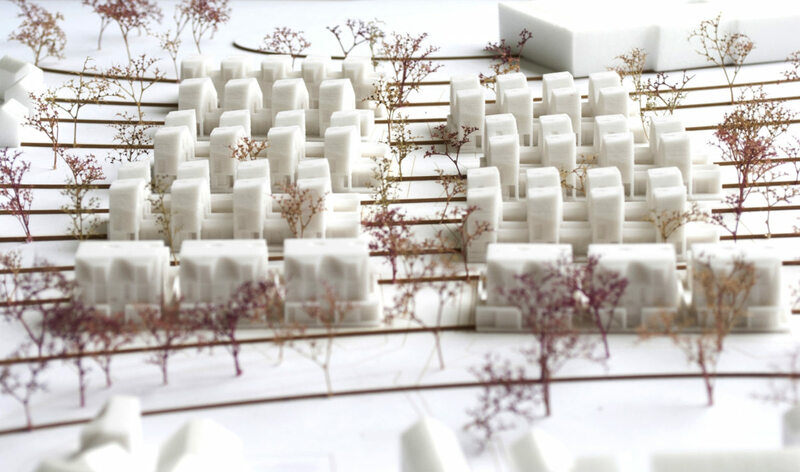 It accommodates play areas, planting, seating, fruiting trees and swales for seasonal water attenuation. 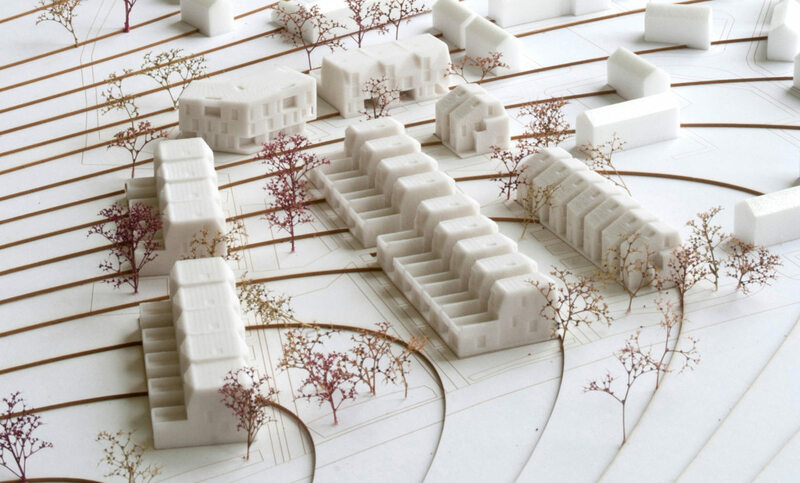 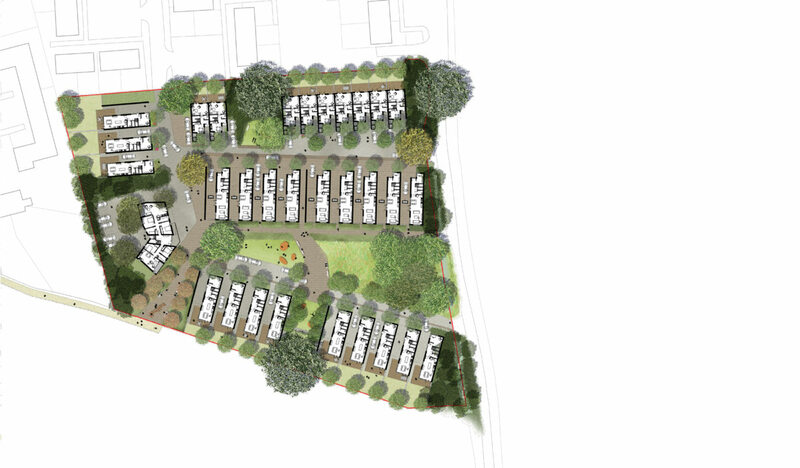 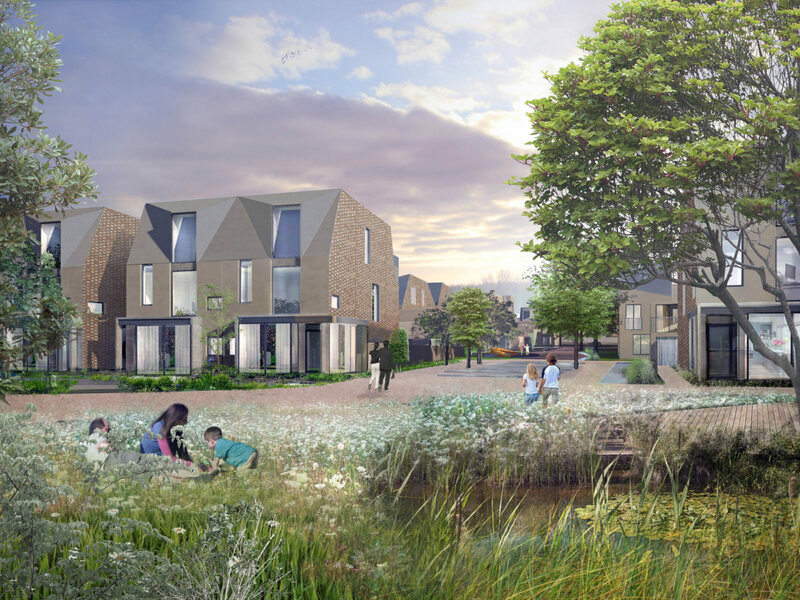 A secondary site, Warmstone lane, takes advantage of its location at the south-east corner of the village to connect to the existing street network; celebrate existing trees as landscape infrastructure and open the neighbourhood to the landscape beyond. 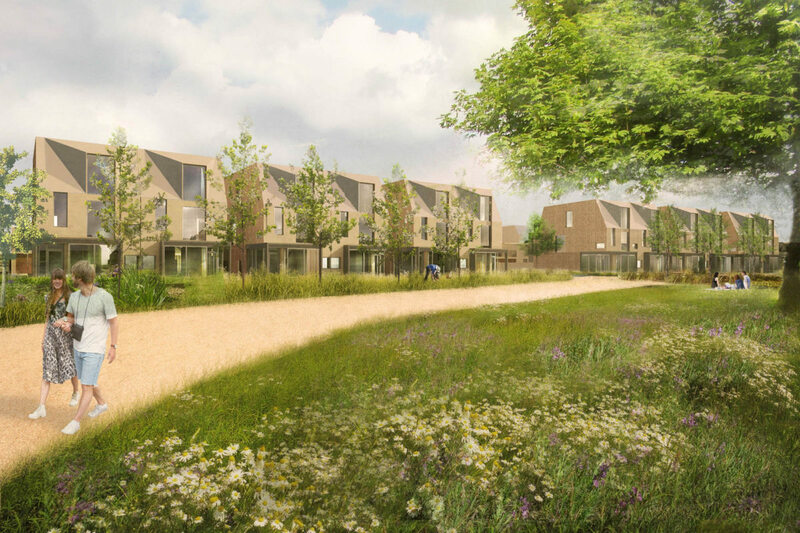 A finger of meadow rich is wild flowers is pulled into the centre of the site to provide a new communal landscape at the heart of the scheme, overlooked by houses and a single apartment block at its apex. 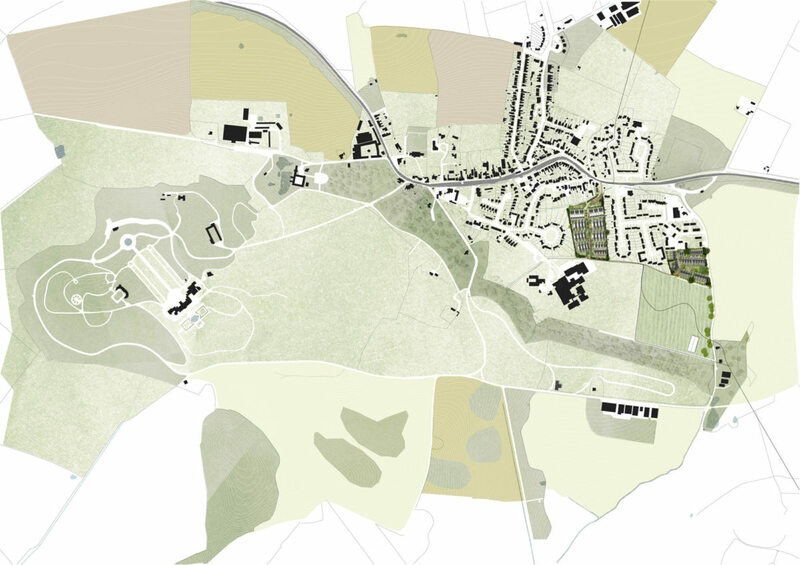 Acting as a village green and nuttery with cropping nut trees combined with foraging hedgerows and edible woodland, this will be a beautiful and interactive landscape framed by terraces: long ‘Meadow’ houses incorporating sheltered courtyard gardens, and traditional ‘Field’ houses overlooking the Engine Field with open south facing rear gardens.